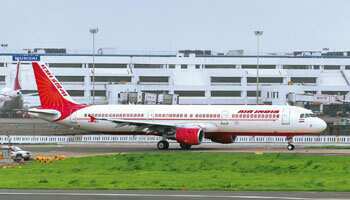 New Delhi: In a bid to avert a second pilots’ strike, Air India has agreed to pay its employees unpaid dues by 10 November, even as its pilots said they will decide on pulling back from possible industrial action on 1 November. The airline’s pilots had struck work earlier in September, leading to widespread cancellation of Air India’s domestic and international flights. “It is very kind of them but there is a crisis of confidence," said Capt. V.K. Bhalla, senior executive pilot at the carrier. “If they will pay, we are not interested in going for an agitation. On an empty stomach we can’t work for a long time." “It’s status quo as far as we are concerned," R.S. Otaal, general secretary of Air India’s pilots’ union, Indian Commercial Pilots’ Association, which has at least 800 members, said. Otaal had threatened to take industrial action from 1 November in response to unpaid performance linked incentives to Air India pilots for two months. The airline, he said, informed the union on Thursday that it will pay dues such as performance-linked incentives for only a month and not clear the entire arrears. “We are not convinced, we want to put an end to all this. Let’s finish it once and for all and regularize it (salary payments)," he said. Air India did not specify if it will clear dues pending till October or will make part payments. “Air India is in discussion with financial institutions to secure additional funds to meet its current liabilities, including payment towards salary and productivity-linked incentive to employees," the airline said in an emailed statement and added that “efforts to avail additional loans may succeed in a couple of days enabling the airline to pay productivity-linked incentive and Flying Allowance to employees by November 10, 2009". Strapped for cash and in the absence of government funding promised earlier this year, the carrier has been forced to seek loans from state-owned banks after hectic lobbying, a civil aviation ministry official said, asking not to be named. The airline has been trying to cut wages to reduce costs and thus become eligible for the government equity-and-loan lifeline of Rs5,000 crore. A parliamentary standing committee on transport, tourism and culture, is to review on Friday the steps taken by the airline to cut costs. The current equity base of Air India is just Rs145 crore while its debt has risen to Rs15,241 crore at the end of June, up from Rs6,550 crore in November 2007, forcing several banks to refuse giving it further loans.